Wondering what goes into installing patio pavers in Atlanta? Here’s a guide from your local experts. If you’re interested in installing pavers yourself, make sure you do a bit more research before getting started. Or you can always call the pros to do a quick, efficient, custom-designed job for you. Before you do anything else, mark the area where you want to install the patio pavers. Approved paint or string tied to stakes work the best. Make sure you have the exact area you want, and then measure it. 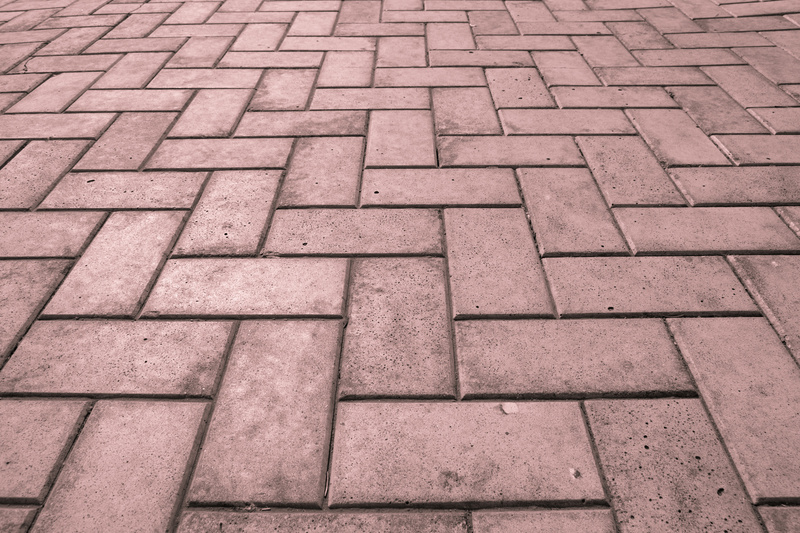 The square footage will help you determine how many pavers to buy. A typical patio hardscape requires a depth of about 4” or so to install the pavers. You can use a gas-powered sod cutter or good, old-fashioned muscle-and-shovel to dig out the area for the pavers. You’ll need to remove the grass and topsoil about 4” down, making it as level as you can. Once the area is cleared, fill it with the proper amount of paver base and level sand, compacting the area so that the pavers don’t settle and become uneven after they’re installed. You may need a compactor machine for a larger area, as well as 2-by-4 length of wood to level the sand. 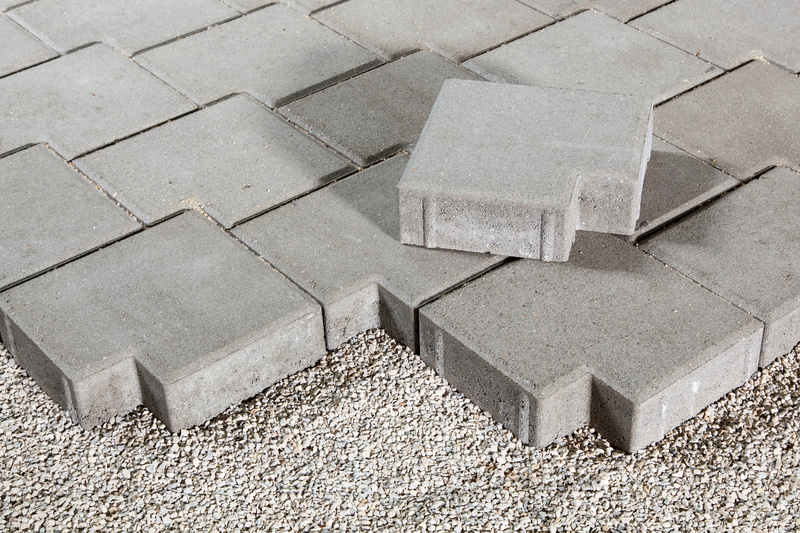 Talk to your hardscape experts or home improvement specialists to help you get the right paver base materials. When you start to lay pavers, begin in one corner, adding one paver stone at a time. Depending on the shape and size of pavers you choose, you may want to lay an entire row first and then proceed row by row. This is where it’s handy to have a professional doing the job. If you want the pavers laid in any special design or pattern, it can get tricky and you should avoid too much trial and error as it can disturb the level base you prepared. Be careful to lay the stones straight down without scraping the sand layer or trying to wiggle, wedge, or stomp on the pavers. But lay them as tightly fitting as possible. It’s almost inevitable that you’ll need a masonry saw during the laying process. Even the simplest patio design can come up with too many, too few, or the wrong size of pavers to fill the space. A masonry saw can cut the pavers to the precise size and shape of your patio. When the paver patio is filled, edge it with stones. This helps keeps all the paver stones in place. You’ll need to decide how you want the edge stones to look, whether you want them to be the same as the rest of the paver stones or a slightly different shape or size. Generally, the edging stones only need to be placed in a single layer around the perimeter, but if you want to make things interesting, you can do multiple layers of edging. Just make sure you have a plan as well as the right amount of stones before you decide to do this. You’re not done yet! Even if you do your best to lay the paver stones tight against each other, there’s a good chance there will still be some slight space between stones. Fill this by laying more sand on top of the paver patio and using a push broom to spread the sand into all the cracks. Use the compactor level the entire thing. Then repeat the process a second time until the space between pavers is filled and even.